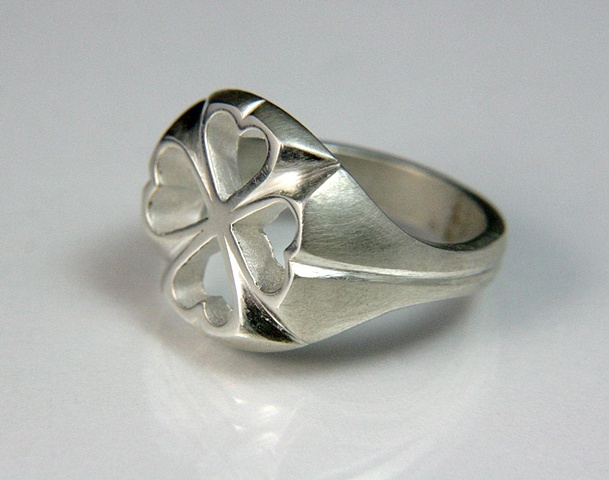 Four leaf clover and four hearts, or a flower. This is a production ring, cast, filed, carved and sanded all by hand. It is 5/8” (16mm) across the top, made of silver, is size 9 1/2 us and can be ordered in your size. You can also get it in the oxidized version.